LMD DesignPack is a collection of 10 native VCL components that can be compiled into your application royalty free. It contains controls which help you to enhance your projects with advanced designing features - either by adding object inspector like controls, extended form/control designers or diagram like objects. 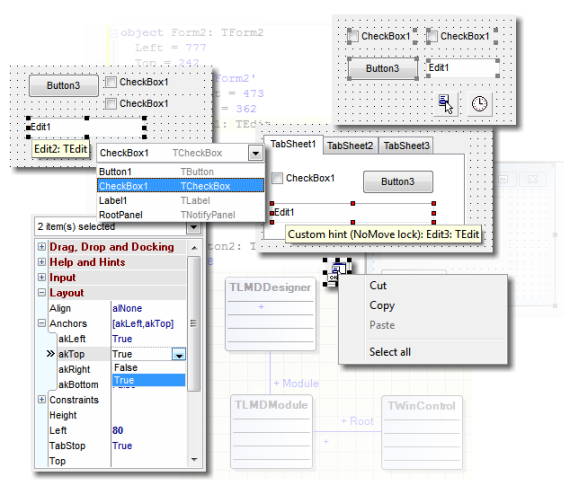 See LMD IDE-Tools 2.0 general enhancements overview for a list of DesignPack 5 related additional features.